My name is Ah Tar. I was born in Kamotkachu village, Karen State, Myanmar. I have one older sister and one older brother. When I was 8 years old, my mother, a teacher, was transferred to another village. It made me sad because living with my father, who is an alcoholic, made me uncomfortable. Because of this, I moved in with my aunt and her family. I stayed in school to continue my education and forget my personal problems. In my community, young people often move to Bangkok soon after they become adults. It is difficult to earn enough money to support a family if you have no skills and live in a rural area. When I was 12 years old, my parents moved to the Thai-Burma border to seek a better life. I stayed back with my aunt to remain in school. During my school holidays, I visited my parents in Thailand. Three years later, my mother became extremely ill. Since she could not afford to see a good doctor in Thailand, she returned to Myanmar to get the necessary treatment. My siblings, who were struggling in Bangkok to support the whole family, also returned to Myanmar. Unfortunately, my mom passed away six months later. A few months after losing my mother, my father decided to remarry. My siblings and I were not happy with his decision. At the same time, I failed my matriculation exam, and my sister could not support me to retake the exam. So in 2008, we decided to move to Mae La Refugee Camp in Thailand for better job and educational opportunities. In 2013, I completed my high school and post-ten education in the camp. In the camp, I was completely occupied with studying and working at the same time. I attended classes during the day and worked at my sister’s shop selling cooking ingredients, food supplies, and drinks before and after school and on weekends. 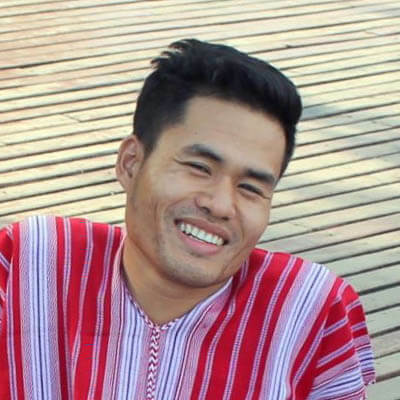 After obtaining a university degree, Ah Tar will go on to be a leader to both his local and the international community and take part in ongoing reforms in his country. After finishing my post-ten study, I worked full-time at my sister’s shop. Later, I was offered a temporary teaching job at a primary school near our house. In 2015, thanks to one of my former teachers, I was able to join the General Educational Development (GED) program at Bridging Educational Access to Migrants (BEAM) in Chiang Mai. 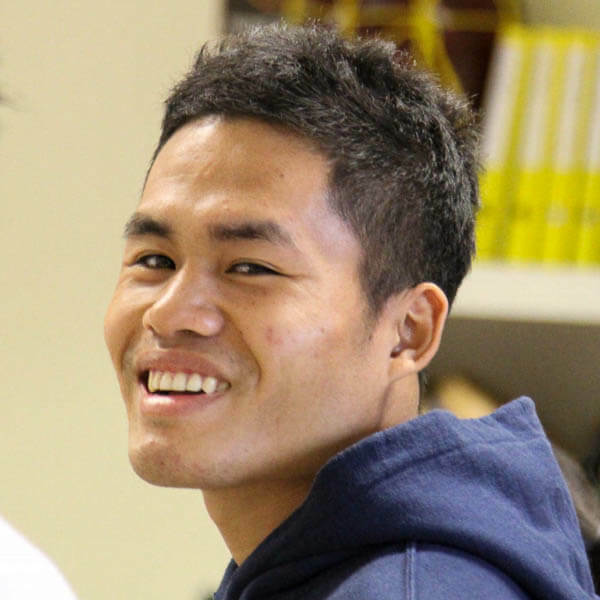 While studying at BEAM, I volunteered at Thai Freedom House on Wednesdays and Saturdays. On Wednesdays, I worked in the office cataloging donated books. On Saturdays, I helped in the café serving food and drinks and taking care of customers. I also taught English to other workers there. Additionally, I interned at Love and Care Migrant school in Mae Sot. During my time there, I came to realize that a school is a special place where students discover their talents and develop new skills. Unquestionably, teaching is such a rewarding job for me. Furthermore, I did an internship at Save the Children. Currently, I am studying Post-Harvest Technology at Mae Fah Luang University in Thailand. The value of education is something that I have understood since I was very young. My mother was the only one in my family who attended college, so she made a commitment early in my life to instill in me a love of learning and an understanding of the importance of hard work and dedication. However, I am in need of financial assistance to realize what has been a long-term goal for me. My family has made so many sacrifices for me to focus on education throughout my life. I feel it is my obligation to live up to their expectations and repay their generosity by earning a college degree. Written by Ah Tar with editing assistance from Zomia’s volunteer editors. Ah Tar is friendly, sincere, and a joy to work with. He is passionate about giving back to the community that raised him.